(OK maybe when I’m going out, s o m e t i m e s). of poor quality or those that „I might wear, but I’m not sure”. I would have so many options to play with. During Autumn and Winter I mostly wear jeans. I treat shoes as investment. You might laugh BUT quality is the key. (I learned how to take good care of them). My fave brands are Isabel Marant and Acne. Yes, these shoes are rather expensive but they will serve you for years. Promise. If I’m going out I choose heels - always. Unlike Brigitte who I have seen wearing them once. Our sweaters were quite a challenge. 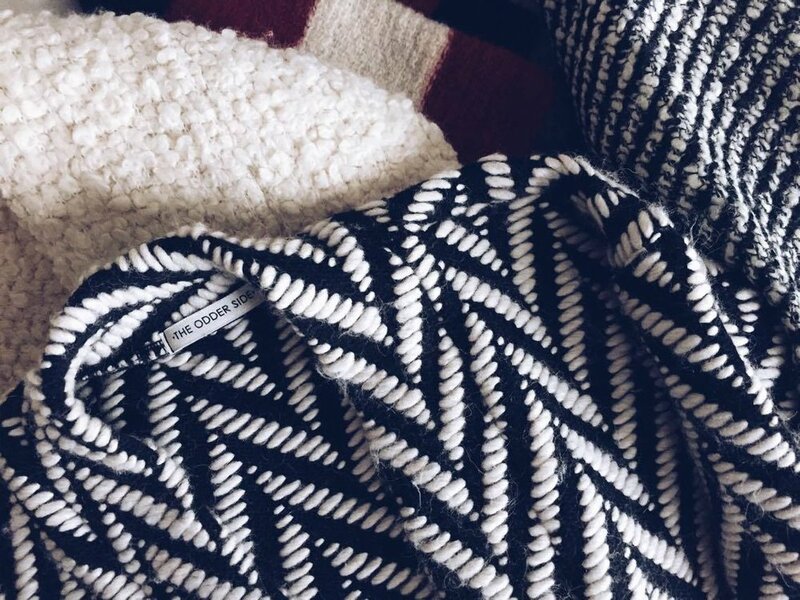 We were dreaming of this oversized shape - amazing, chunky knit. I can’t wait to wear them with shorts this Spring! These are my little obsessions. And I believe these are what make my personal style the most. Some people love jewellery, some people love bags and I am a jacket girl. but the jacket is always the statement piece of my outfit most of the days. the answer is simple - YES. We create these styles for ourselves. The question is: what was I wearing before this brand? !